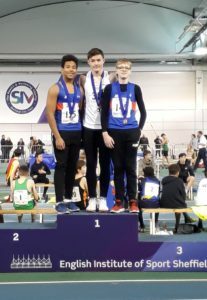 Increased entry numbers this year meant that the stands at EIS were filling up early for the 2019 U15/U13 Indoor Championships and the atmosphere was buzzing with excited young athletes gearing up for a day of great competition. 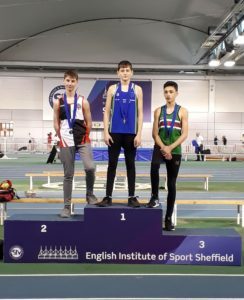 For many this was their first visit to the EIS, which is becoming an iconic venue for indoor track & field.Great performances across the day meant that support and interest stayed high and spectators were cheering on the young athletes to achieve improved standards. 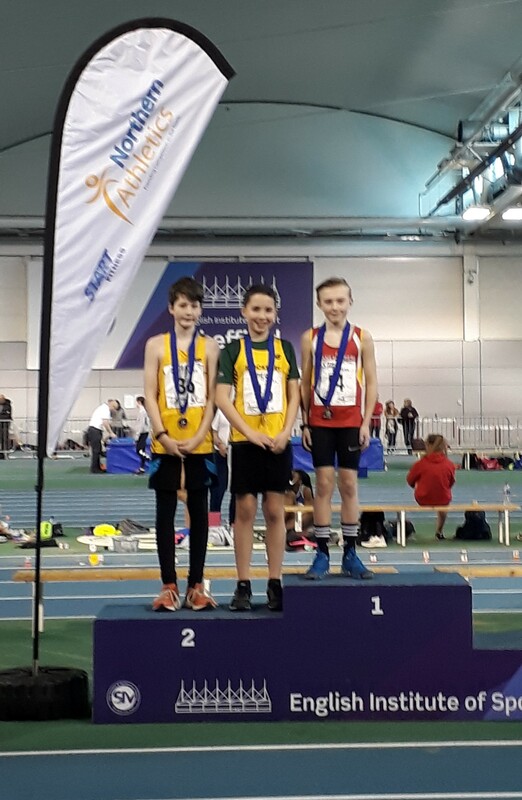 Several new CBP’s were set during the event with the standout performers being U13B Adam Javed of Rotherham and U15G Trezeguet Taylor of Trafford.Adam set new CBP figures in all three rounds but one of both the U13 60 and 200m events and Trezeguet did the same, equalling the 60m record in the 1st round but setting new figures in the semi and the final! Sale Harrier, Success Eduan lived up to her name in the U15G 200m, setting new CBP figures of 24.38 in a demanding event of 4 rounds. Hallamshire Harriers emerging U15 middle distance girls did their club proud taking the first five places in the 800m with Ruby Simpson, (the CBP holder for the U13 event from 2017) once again the star turn, winning the event in 2:15.70 ahead of her Hallamshire team mates Emma Shipley and Ruby Styler. 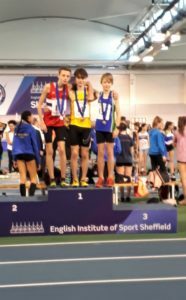 Morgan Corcoran of Bingley Harriers also had a great day, winning a golden double in the U15B 60m and 200m. 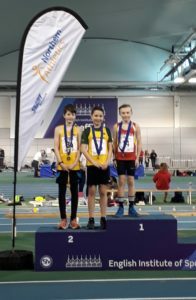 The other sprint events went to Niamh Le’Gall of Wirral (U13G 60m), Liverpool Harrier Ebiosereme Ekhuemelo in the U13G 200m. 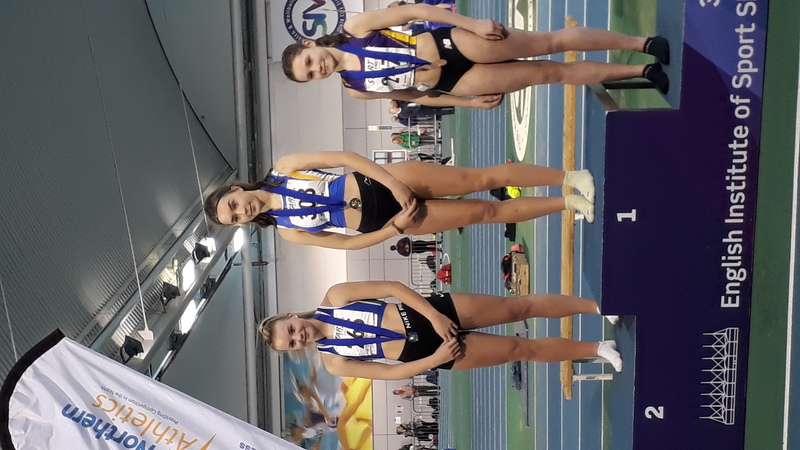 The versatile Julia Winogrodzka (Bolton Utd) took the U15G 60m Hurdles and in the U15G Long Jump she came out top of a huge entry of 42 athletes with a leap of 5.21m. 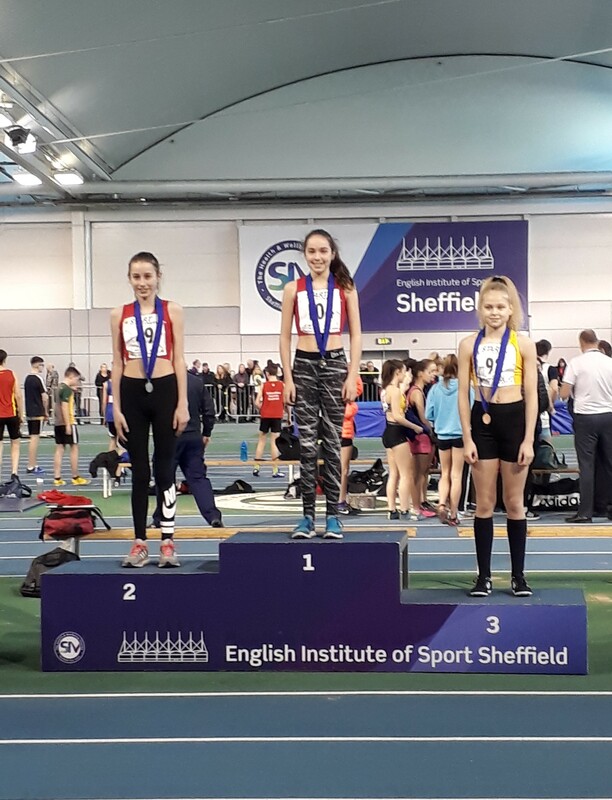 The U13G High Jump saw a CBP equalling jump of 1.50m to win Sale’s Thea Brown the gold medal. 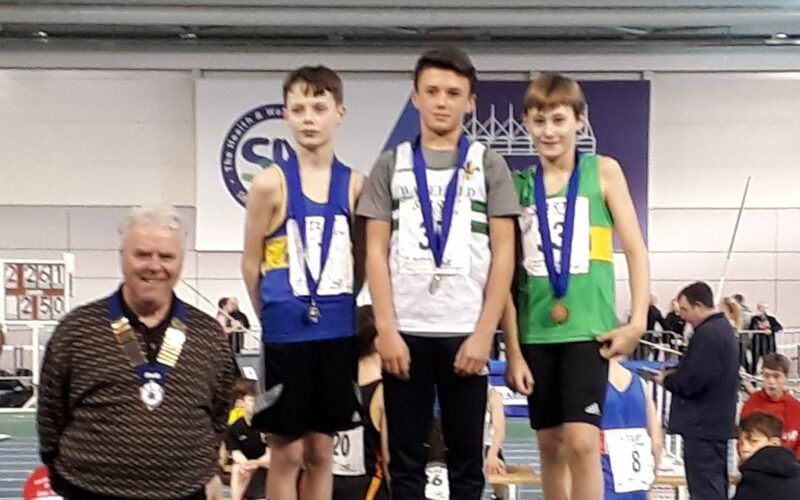 Regan Corrin made a successful journey from the Isle of Man as the Manx Harrier won the U13B High Jump. 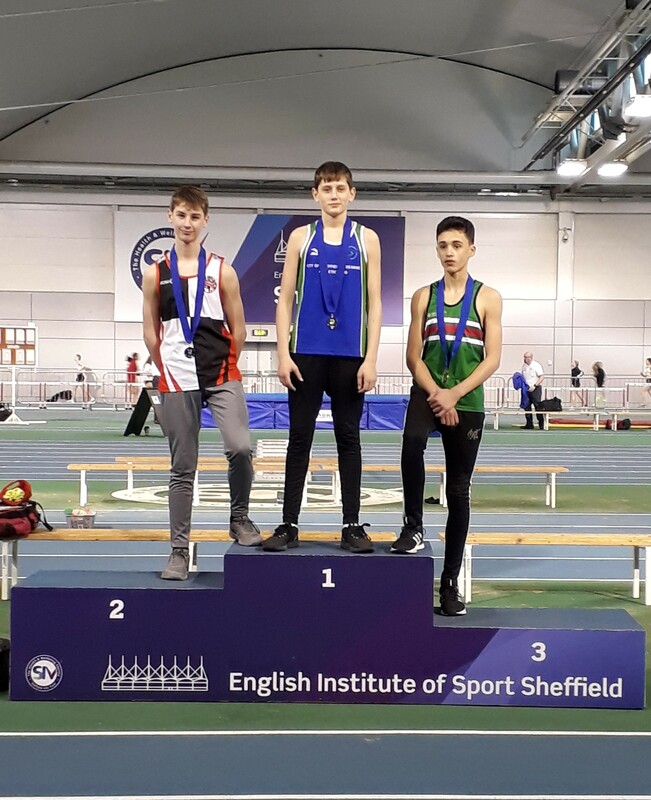 City of York athlete Frances Hoff took the U15G High Jump title and Jack Doodson of Stockport won the U15B event ahead of Kresten Calvert of Wirral, who took his revenge by reversing the order in the U15B Long Jump with Jack in the silver medal position. 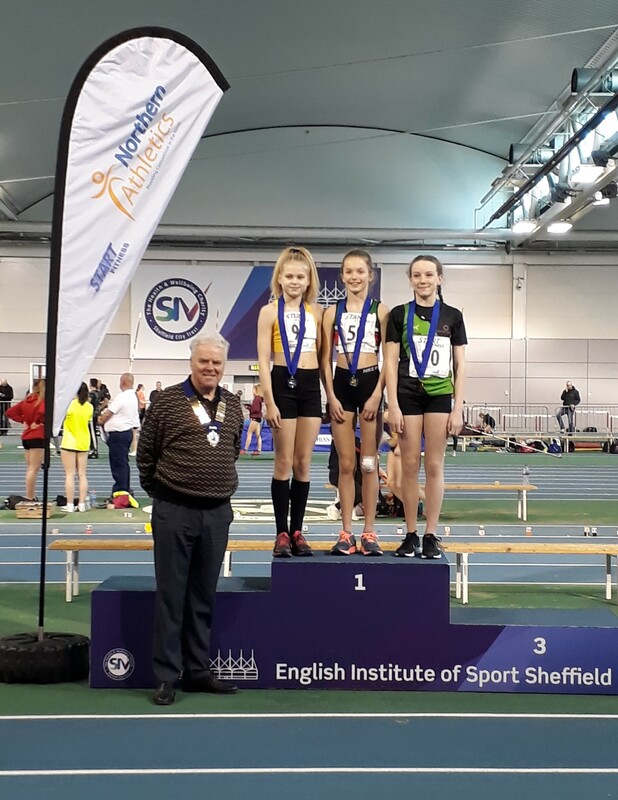 Another high entry in the U13G Long Jump saw another City of York success with Emily Maude finishing in top spot. 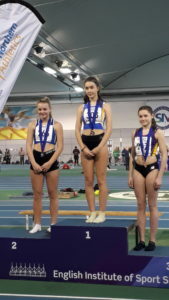 The U15G Pole Vault finished with twins Amy and Erin Hunt of Wakefield taking Gold and Silver respectively. 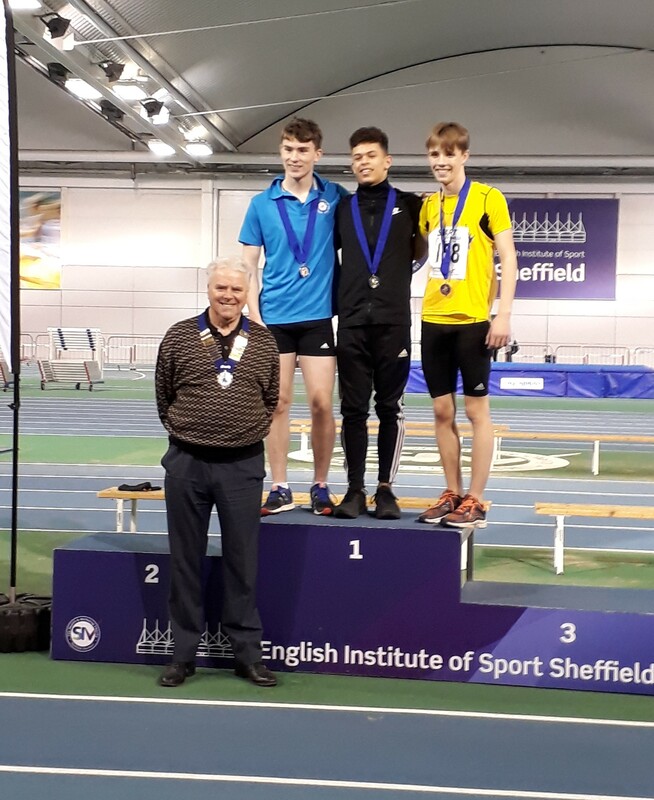 William Lane of City of Sheffield & Dearne triumphed in the boys Pole Vault. City of Sheffield had another victory through Daphney Adebayo in the U15G Shot , Cameron Scott-Allan of Liverpool Harriers took the U15B title and City of York’s Kathryn Clague added to her club’s successful day with a win in the U13G Shot. 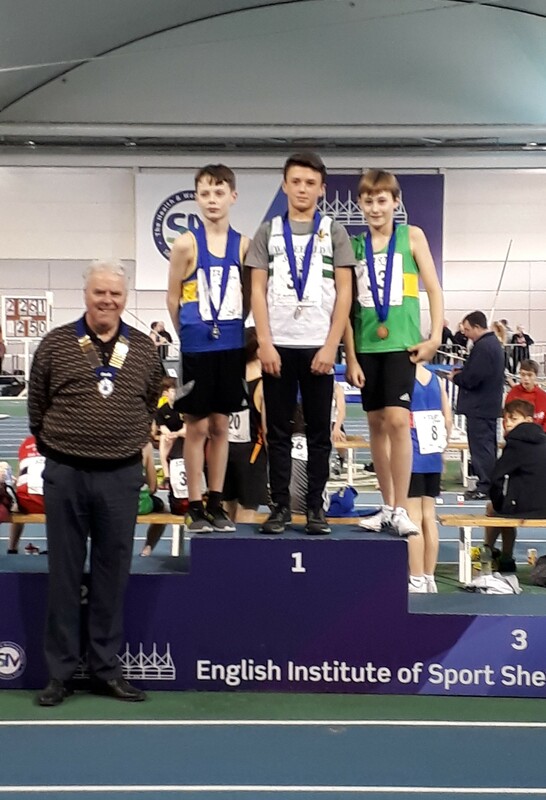 The U13B Shot champion was Wakefield athlete Kian Slatter -another club which had a good day at the Championships. 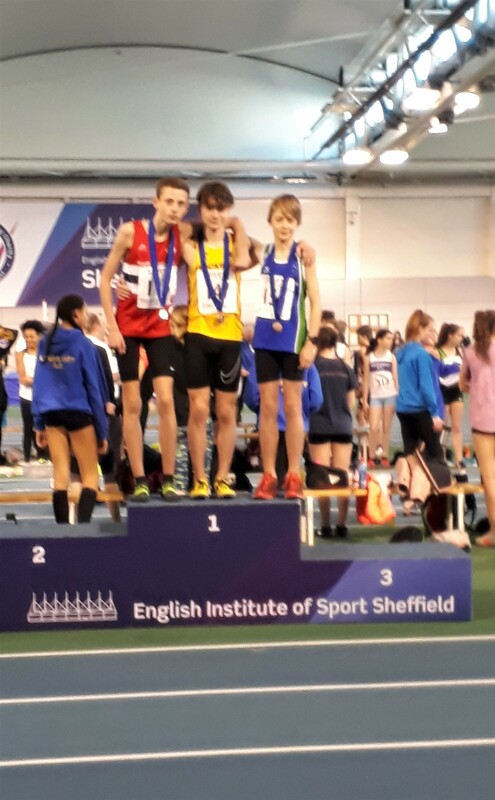 Other winners on the day included Alice Tolley, again of Hallamshire ahead of compatriot Gabriella Brown in the U13G 800m and Harvey Kenny of Horwich clinched the boys title at the same distance and Thomas Manton (Stockport H) triumphing in a very close finish with Joshua Blevins of the NS Poly Club – one of the best races of the day and the U15B 60mHu final saw a win for Daniel Shuttleworth of Preston. 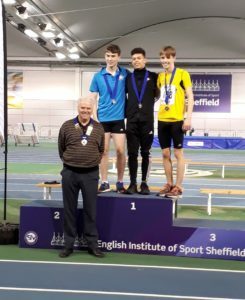 Thanks to all the officials, stadium staff and spectators who supported the event but the biggest thanks go to all the athletes who entered and competed and, regardless of whether they were winners or not, hopefully had a great day. 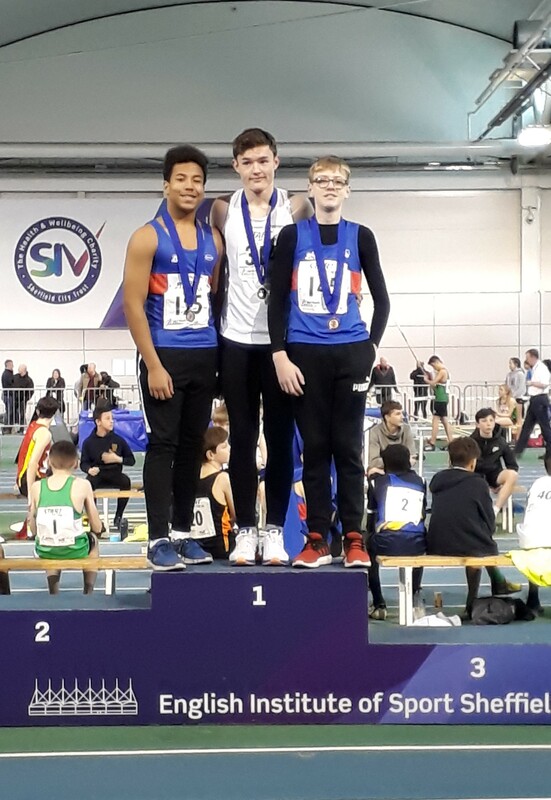 Northern Athletics congratulates all of you. 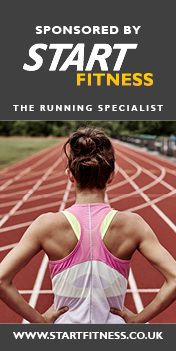 We hope to see you all at Wavertree next August for the outdoor Championships, have a great summer of competition.